Jake Owensby, (Ph.D., D.D. ), is the author of four books including A Resurrection Shaped Life. 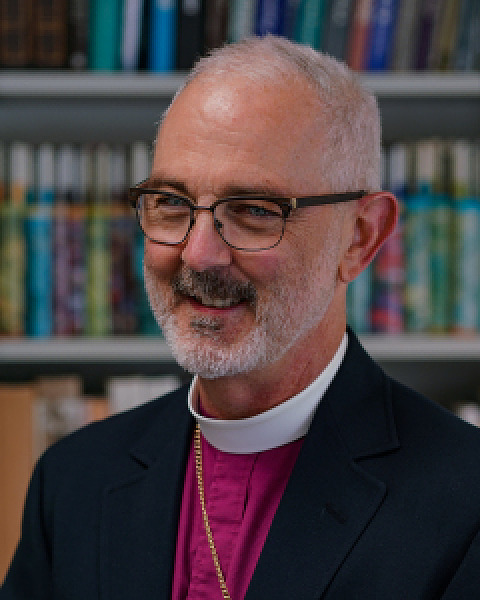 He is the fourth Bishop of the Episcopal Diocese of Western Louisiana. Before his election as Bishop in 2012, he served as Dean of St. Mark’s Cathedral in Shreveport. Prior to that, he was rector of Emmanuel Episcopal Church in metropolitan St. Louis, Missouri and St. Stephen’s in Huntsville, Alabama, and assistant rector for Christian Formation at St. Mark’s in Jacksonville, Florida. Owensby is a graduate of the School of Theology at Sewanee, and was ordained to the diaconate and the priesthood in the Diocese of Florida. He has three adult children and lives in Alexandria, Louisiana with his wife, Joy, and rescue pup, Gracie. He blogs about looking for God in messy places at JakeOwensby.com.